What Is An SA302 And How Do I Get One? SA302 is a statement given by HMRC that provides evidence of your earnings. It is, in every practical sense, HMRC’s presentation of an individual’s Income Tax calculation for that given tax year. You will be issued it following the submission of your Self Assessment tax return. If you earn money outside of PAYE, then your SA302 will highlight the taxable income that you’ve earned. Historically, SA302s have been used by lenders when processing mortgage and loan applications. What does an SA302 include? Your tax calculation provides essentially that: a breakdown of all taxable income streams, with your tax liability and the total amount of tax payable to HMRC. It’s this information that is relevant to brokers and lenders. An SA302 form functions as a certificate for how much income you have declared. It works in partnership with another document called a Tax Year Overview. This document verifies that the information shown in the SA302 is correct. The Tax Year Overview is a statement of your tax bill for the tax year, the tax paid and any amount outstanding. How do I get my SA302? You can access HMRC’s online services by logging into your HMRC online account and clicking ‘Self Assessment’ then ‘More Self Assessment details’. There, you can also print your documents should you require them for a mortgage application or any other checks. This portal will additionally help guide you through the process if your accountancy software won’t print your evidence of earnings. If you or your accountant submitted your Self Assessment tax return by paper, you will be automatically sent your SA302 in the post. Should you lose these forms, you will need to contact HMRC, who will ask for your National Insurance number and Unique Taxpayer Reference (UTR). Finally, if you or your accountant uses commercial software to perform your Self Assessment tax return, you’ll need to use that software to access your proof of earnings. If you are struggling to obtain the necessary information, we suggest that you contact your software provider or instead print your Tax Year Overview from your HMRC online account. If you have lost your details for the HMRC portal, you will need to contact them as soon as you are able. At GoSimpleTax, simplicity and user experience are what set our service apart from other accountancy software. We specialise in streamlining the process to reduce as much reliance on HMRC as possible. Once you have submitted your Self Assessment tax return through us, you are sent both a PDF copy of the return and of the SA302 tax calculation. This is all delivered through the press of a button, and our advisors can walk you through it. Do I need to have an SA302? If you are subject to a Self Assessment, you will need evidence of your earnings when applying for a mortgage as providers and lenders will submit an SA302 request. Where SA302s were originally sent out like paper receipts, the responsibility now falls on the taxpayer to obtain the information and present it to lenders. The issue is that not all lenders accept a printed version. HMRC has provided an exhaustive list of mortgage providers and lenders who accept printed tax summaries from accountancy software or HMRC’s online portal. If you are in this position, lenders will also need your Tax Year Overview. You should always check what additional documents mortgage providers require before submitting your tax calculations. Remember that it isn’t just mortgage providers who will restrict lending if you are self-employed. If you were looking to apply for a business or personal loan, most lenders will request your SA302 to check the income figure on the application. They ask for this information to ensure that you are able to afford the monthly loan repayments. For example, NatWest will request two years of self-employment SA302 tax returns to review the ongoing performance of your business. 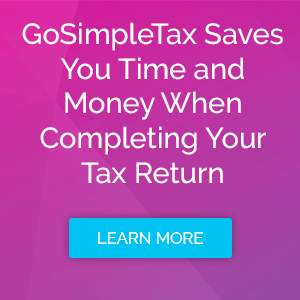 GoSimpleTax allows you to avoid the headaches that come with accessing this information on your own. Our software analyses your details to work out how much tax you owe and relief you are able to claim with a focus on user experience. Our product gives you the tools to complete an accurate Self Assessment that can be sent straight to HMRC, and allows you to view your proof of earnings once submitting with ease. Test out our tax software with a 14-day free trial, or pick the package that suits you best, and see it in action for yourself.